Okay, this is still not research-related but I have such good photos of these little guys that I’m going to pretend that this is educational—because genetics, or something. These guys are not only full siblings but fraternal twins (in that they were laid at the same time—they were in separate eggs), and incubated in the exact same conditions for almost the exact same amount of time. Both weigh 1.9 grams. Yet they look nothing alike! Plus, recall that their mother is a nearly patternless cream color, and their father is olive and grey with spots. Family resemblance? None that I can see. 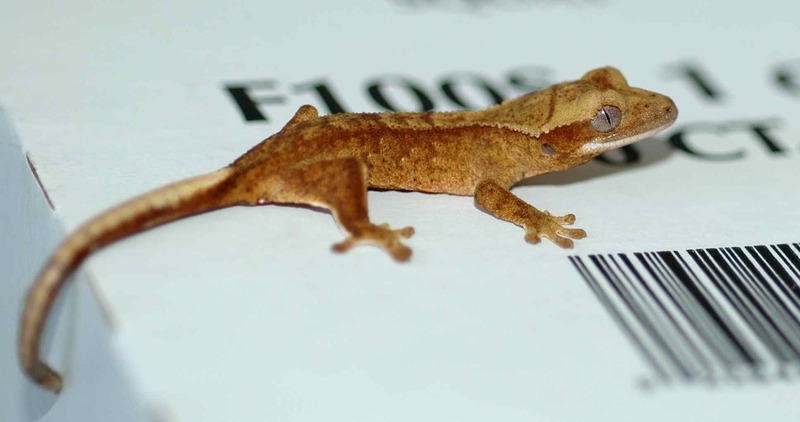 This entry was posted in geckos and tagged crested gecko by toughlittlebirds. Bookmark the permalink. This is an area I don’t know much about either, but I’d guess it’s a combination of motor skills needing to be developed outside the egg, where the geckos can move, and selection for hatching as early as possible, before all energy stores have been used up and maybe before they’re entirely ready to eat. I suspect a hatchling is safer from predators than an egg, given its cryptic color and ability to run/leap away. Great pictures on color variation! Thanks for that link. Thanks for the pictures! 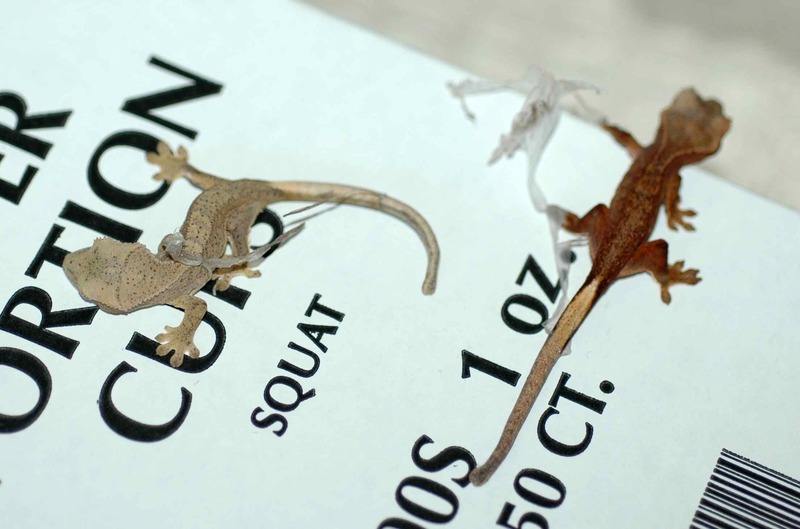 It was educational looking at the variety of colors geckos can be – and I learned that they can change color! What makes them get “fired up”? Also, how much interaction do they have with their mother and with each other?